Find the perfect Fairfax County Before School Nanny who will be trustworthy and dependable for your family through ABC Nanny Source - A Trusted Nanny Agency in Virginia! Gabrielle has worked with children of all ages as a Fairfax County Before School Nanny and has remained professional and dedicated to her work! "I am a caring and outgoing person. I have always known I wanted to work with children in some kind of way. When I attended college my major was Early Childhood Education and I had instantly fell in love with the subject and I knew this is the field I belonged in. I enjoy teaching young children and watching them as they grow and learn different skills and knowledge every day. If I was asked to describe in one sentence the reason I have chosen to be in the Nanny profession over any other it would have to be because being a nanny gives me the opportunity to focus on one or two children at a time and watching them learn and develop through different stages of their young life. I have been serving in some form of childcare experience for over four years and can honestly say I love what I do! I feel the children are the future of our country. They need our love and support to grow and learn. Without nurturing and having someone to teach them the future for these children will not be a bright and safe one. My goal as a Fairfax County Before School Nanny is to support the parents by helping their child feel that they are in a safe and nurturing environment. I am willing to do housekeeping at the parent’s request that includes washing dishes, doing the children’s laundry, keeping the child’s room clean, putting toys away, taking care of any pets, keeping the kitchen clean, and cooking for the child. If I had to describe myself in five adjectives I would say that I am nurturing, loving, fun, energetic, and observant. Activities that I would like to incorporate in the daily plan for the family I care for would include reading books, art activities, different types of cognitive activities, and outside time. I will also include any other activities the parents may request. If asked to describe the perfect family seeking a Nanny like me I would hope they would be a kind, loving, understanding, social, and easy going family." "Gabrielle's responsibilities involved supporting students with a variety of needs included in the regular classroom setting under my direction. Gabrielle helped students with their organizational skills, and worked with children on an individual basis, as well as small groups. The children all enjoyed working with Gabrielle. She assisted with classroom management needs such as organizing materials and conflicts related to scheduling. Gabrielle was a valuable member of the instructional team in my classroom, not only because she accomplished so many various tasks, but because she always did so willingly and cheerfully. Her energy was contagious. She handled student issues with good judgment and confidentiality. The school year was so much more productive because of Gabrielle's efforts. It was a pleasure to work with Gabrielle. I highly recommend her for any childcare position and especially as a Fairfax County Before School Nanny!" "Gabrielle went above and beyond the job requirements as a Fairfax County Before School Nanny. She was so excited to be involved with the children; she made every interaction fun and educational for the children. She was the only non-relative I was comfortable enough to leave my children with. I have always been more than satisfied with Gabrielle caring for my children. She always made the children laugh and have fun, while at the same time trying to educate them. Her heavy background in education was a huge plus for me. Her energy level was so high and so intense the kids never were sad to let me leave. She was always a joy." "I would strongly recommend Gabrielle for any childcare position. Gabrielle has been a great asset to my learning support classroom. Gabrielle has spent the majority of her special education placement teaching second, third, and fifth grade students with mild to moderate learning disabilities. Her dedication to the students was demonstrated by excellent lessons she planned and implemented on a daily basis. The students thoroughly enjoyed Gabrielle's lessons and continued to be excited about learning. Gabrielle exhibits the professionalism, work ethic, and compassion. Gabrielle will be an asset and respected member of any family as a Fairfax County Before School Nanny." "We loved Gabrielle and we know she loved our children. They were always happy and excited for her to come over. Any family who invites her into their home is lucky to have her as a Fairfax County Before School Nanny. 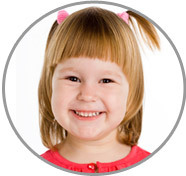 She is energetic, always cheerful, and definitely qualified for any position in childcare!"